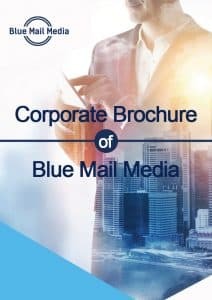 The leading international provider of intelligent and customized email marketing solutions, Blue Mail Media is known as an authentic collator of highly reliable, verified and updated contact information of businesses across the world. With our result-driven approach and latest business innovation, we make sure marketers meet their significant prospects relevantly. Download our Corporate Brochure for a better understanding of how to drive better ROI with marketing that is driven by an innovative data. CustomPro – to get niche data as per unique requirements of your business. Data Hygiene – Email-appending, phone appending, social media appending and more. DemandNxt – discover potential customers with recent digital and outbound marketing practices.